Fear and risk are two related concepts. From terror attacks to collapsing economies, our list of fears seems to be increasing. Yet we are the safest and healthiest humans in history. Why are we so worried? The Science of Fear is an introduction to the new brain science of risk, dissecting the fears that misguide and manipulate us every day. 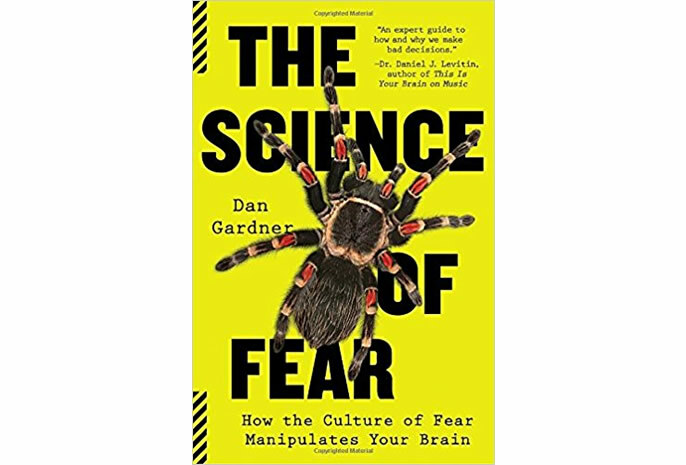 Award-winning journalist Dan Gardner demonstrates how irrational fear springs from the ways humans miscalculate risks based on our hunter-gatherer brains. With the exclusive cooperation of risk-science pioneer Paul Slovic and other leading experts, Gardner reveals how our “gut” reactions lead us astray. Understanding our irrational fears frees us from political and corporate manipulation and helps us make better choices. This book is an entertaining, often startling account of why trivial risks terrify us, even though we often have no qualms about engaging in wildly dangerous activities!